Heather Dessinger 96 Comments This post contains affiliate links. When I first started my real food journey I was overwhelmed by how understocked I was on kitchen appliances and gadgets. Now that I’m getting married I’m trying to register for my *reasonable* dream real food kitchen. Suggestions?? If you could start fresh from the beginning what would you start with? I often come across a receipe that I would love to try only to discover I need equipment that I don’t have to make it. What basics to you suggest? If money wasn’t an object what would be in your dream real food kitchen? First things first – a lot of the stuff I am going to recommend cannot be found at Target or Bed Bath & Beyond. But not to worry! MyRegistry.com makes it easy for you – and your friends and family – to do everything via the web. Now that we’ve got that out of the way, let’s get started! My little 7-cup food processor has been maimed in every possible way – including an “incident” in which it was partially melted – and yet it STILL works. It was retired though after my husband learned I have to hold it together while it “processes.” He bought me this 11 cup brushed stainless version and I love it! Food processors make it so easy to whip things up in a snap: homemade salsa, banana walnut muffins, crackers, coconut butter, strawberry mint sorbet and so much more. And it saves me money, too! Even after using the finest ingredients I always find that it costs less than the premade stuff at the store – AND it tastes better! 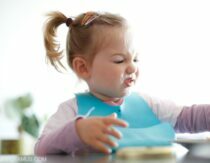 Plus foods that we simply won’t eat if they are store bought (such as peanut butter because of aflotoxins) become a delight that when they’re made from soaked and dehydrated peanuts at home. Ah, this was hands down the most useful wedding gift I received – and it wasn’t even on my list! With a little prep while you fix your hair for, uh, bed (at least this is what I did as a newlywed), you can wake up to the aroma of slow-cooked cinnamon apples. Or get started in the morning and come home to a delicious, home-cooked meal. The best part? It also doubles as a stock pot (one less item to ask for!). I use this recipe for perpetual soup just about every week because broth is so nourishing (and it helps with wrinkles and cellulite. ahem). Here’s the thing, though: Lots of crock pots contain lead that leaches into food. If you plan to use your crockpot nearly as much as I do (and why wouldn’t you!?!? 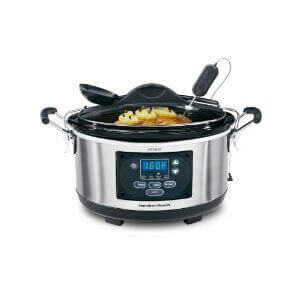 ), go ahead and invest in a Hamilton Beach crockpot – they are the only ones I know of who are lead and cadmium free. UPDATE: My Hamilton Beach crockpot, which I received as a Christmas gift last year, died after only 9 months of use! Boo! Teflon can release up to fifteen toxic gases and is not recommended for people with pet birds because the polymer fumes can kill them. If you’re thinking that you need to ditch your nonstick stash pronto but don’t want to give up your perfect omelettes, don’t worry your purty little head. My cast iron skillet is non-stick heaven (though we don’t use it all the time for reasons listed here), and I love our enameled one from Xtrema. Okay, I know for a fact that one of my friends (whose husband makes knives worth hundreds of dollars) is probably cringing right now. I don’t know much about knives and should probably not be advising anyone on the subject, but J.A. Henckel was recommended to me as a good middle-of-the-road option. I asked for this utility knife for Christmas and it is MUCH better than gumming my steak with my old set. The problem with buying knives you’ll actually use is what to do with them when you’re . . . not. Storing super sharp objects in drawers for little hands to rummage through? No thanks. Fortunately there are these nifty magnetic knife holders that you can mount to your wall – keeps everything within your reach (but not theirs, though I know you’re not at that stage yet!) and looks kinda cool, too! Plastic takes longer to dry. The longer the surface is wet the more opportunity for bacteria to grow. I have used all three in my career as a SAHM, and I must say this bamboo one is hands down my fave. It knicks less and is so easy to clean. 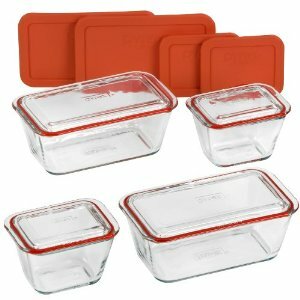 These pyrex container are a great alternative to plastic storage, and they’re a two-for-one deal because you can bake with them, too! I love grabbing leftovers from the fridge and tossing them in the oven without having to switch containers (because let’s face it, we have enough dishes to do!). This should probably go without saying, but you’re going to want to have a few casserole/pie/quiche dishes around. Glass is a great alternative to aluminum and is easier to find than stainless steel. Highly recommend! For making kale chips of course! A lot of what passes for stainless steel these has a lot less nickel (which protects from corrosion) than you’d expect. To get around this look for high quality 18/10 gauge such as the American Kitchen line from Regal Housewares. There are a lot of options here: This cuisanart set is pretty affordable, but if you’re looking for something you’ll still be using on your 30th anniversary consider all-clad. Or you can save TONS of money buy hopping on ebay and buying up some old vision cookware, which is a highly durable glass-ceramic blend that’s not made anymore. My mom picked up random vision pieces for me at resale shops and I used them all. the. time. Definite fave for the price! And A Few Frills . . . Okay, maybe frills and kitchen equipment don’t belong in the same categorical zip code for you, but these are some of my fave non-essentials! Great for drying nuts after they have been soaked and making beef jerky (a great on-the-go snack!) and fruit leather. If your farmers market has a sale on fresh herbs such as dill, basil and thyme at the end of summer you can take advantage by drying and storing for use throughout the year. 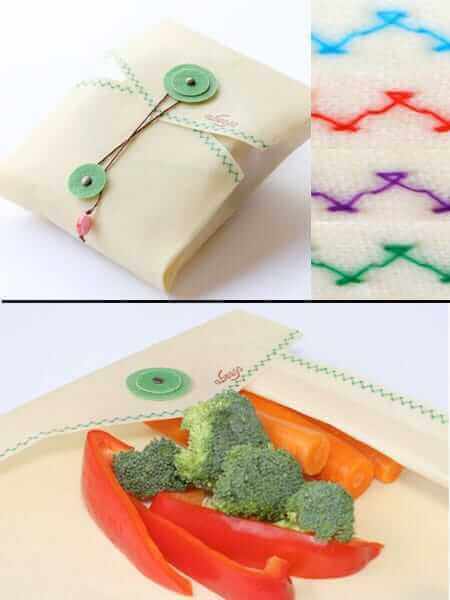 So much better than store bought stuff! **If** you drink coffee, this 12 cup stainless steel percolator and this french press are great BPA-free options. I have a giant $100+ harsch crock, but if I could go back in time I would prefer to have these inexpensive fermenting jars. Many ferments (like sauerkraut and dilly sticks) do just fine in a jar, but others (like pickles) sometimes have mold issues. Airlocks prevent that, yay! I have a pricey one, which I regret because I only use it to make chips. 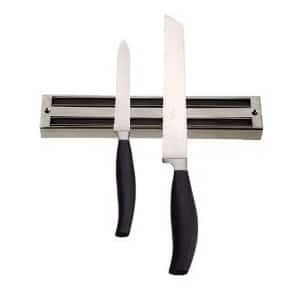 This one from OXO is about half the price and looks pretty good! Another item at the top of my wishlist, this alternative to saran wrap is made from a hemp/cotton fabric infused with a blend of beeswax and plant extracts. Bio-violet glass that uses beneficial wavelengths to reshape the molecular structure of water, and drastically reduce food spoilage? Yes, it does sound kind of crazy now that you mention it. But after talking to Kathleen at Radiant Life, I really think there’s something to it. Make sure to check out Vio Liv section on their website. It shows a photo of two tomatoes – one which was stored in a regular glass jar for 7 month and another that was stored in a Vio Liv jar. They are totally different, ya’ll. I’m intrigued. (Plus I love apothecary jars and their oh-so-pretty). Love my Cuisanart Smart Stick for making coconut milk, pureeing soups in the pot, blending pancake batter (because coconut flour tends to clump) and a zillion other things. Honestly for the longest time I didn’t understand why people raved about these so much, but now I get it! Mine gets used all the time. Just because I think they’re pretty. Having an herbal blend on the counter to sip on is not a bad way to while away the afternoon. So that’s it! My real food kitchen, more or less. Now Bethany, don’t you feel like we totally bonded over this registry experience???? Hope that means my invite won’t get **lost** in the mail! What Are Your Real Food Kitchen Must Haves? Love it! So what cookware do you suggest for our morning eggs? 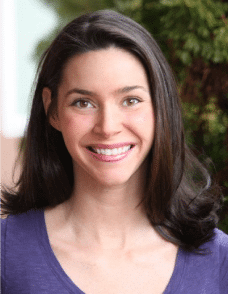 Cast iron pan and coconut oil – yum! I use a sturdy rubber spatula to turn the eggs. I also add fresh kale and leftover quinoa. And then just wipe the pan (when it’s cool) and you’re done (no washing)! This is a GREAT list! I also love my toaster oven for heating leftovers, cooking small batches of things, and/or toast. 🙂 Thanks for this post! I don’t know about her, but I recommend a well-seasoned cast iron skillet, and some bacon grease. You won’t have to worry about your eggs sticking. ice cream maker…because even the “all natural” brands contain an anti hardening agent similar to anti freeze. Great suggestion, A.B.! Is it beneficial for people who don’t do much dairy? Can coconut milk be substituted? Hmmm, maybe I won’t wait till summer! Sounds good! and a good blender for smoothies! A kitchenaid mixer! I love mine more than anything else in our kitchen and am hoping to get attachments for making ice cream, sausage, and pasta someday. This! Of all the things I was SO excited to open when I got married, this was perhaps the best! A cast iron dutch oven is great too for iron rich stocks and roasts. Oh, I LOVE my abeegos!! I’d also recommend a yogurt maker if you like yogurt and don’t have another way to incubate it. It nearly killed me to buy a one use product, but I’ve saved so much money now that I consistently get yogurt every time. It sits out next to my dehydrator every weekend and really doesn’t take up much space. I love all your ideas Heather, but I would have to add a VitaMix Blender. We use ours all the time from smoothies to mayo, or even our pancake recipe! I like the Violet Jars they are really neat…. hmm maybe someday. Great ideas. I don’t have anything to add, but I have a question. Are all Hamilton crock pots good? I need to replace mine, but I’ve been delaying because of the lead/cadminon issue. I asked Rival about lead in my CrockPot and they responded that there is none. I’ll have to go back and ask them about the cadmium. Do you have a link that explains how people know that only Hamilton Beach crock pots are lead and cadmium free? Thank you for contacting Crock-Pot, a brand of Jarden Consumer Solutions. Jarden Consumer Solutions (JCS) continues to proactively test its products for lead and other toxic metals, with the results continuing to come back favorably. Lead is not an additive in the Crock Pot slow cooker ceramic glaze. JCS is diligent in its efforts to ensure that its products are compliant with applicable regulations regarding the presence of lead. We appreciate your business and are happy to help if you have any further questions. how embarrassing. u DID post a link. that’s what I get for reading & commenting while entertaining my baby on my lap. so sorry! I just finished reading the linked post & its comments about the crockpots and lead. Some people in the comments section seem convinced that Cuisinart is the only maker of lead (& cadmium?) free crockpots. Any thoughts on that? And after reading the 1st comment which was made by the reporter who did the research, it seems this was all motivated by a woman whose breastfed baby had tested positive for lead. But it wasn’t the crockpot, it was the plates that leached lead into the mother’s breastmilk, making the baby test positive for lead. HI Sandra! I have not looked into the issue lately and manufacturers may be updating their standards (I hope so! ), but I haven’t called Cuisanart to confirm. If you find out more please let me know! I couldn’t live without my KitchenAid mixer and attachments. Though, to be honest, you don’t want to register for one of those. What they are making these days doesn’t compare to the work horses you can find in a garage sale. Although mine was a new gift, I scour garage sales looking for one 20 years or more old. I think when buying mixers it’s a good idea to get the most powerful motor you can, regardless of the verbiage accompanying the product. We used a “Heavy-Duty” Kitchenaid for making 20-40 lbs of butter from THICK cream per week for our CSA and it had the same wattage (325 or maybe 375) as the little home-use Artisan model. It also started to die within a year. Not worth the extra money if you’re not getting more power. Bosch makes an 800-watt model that can, according to their website, handle 12 batches of bread, plus it scrapes the sides, a huge bonus. I’m not sure, but I suspect the older mixers you can get at garage sales are also more powerful. We got an older blender for the same reason. Thanks for the wonderful post! I’m saving it for my registry! Ahhh, that is great info, Heidi! Sounds like the Bosch is a real work horse! Great list. I agree about adding a vitamix to the list – it’s definitely one of my most used appliances. I got rid of my bulky mandolin years ago and love the Kyocera double edged mandoline slicer – it’s cheap, and it stores easily since it’s one flat piece of equipment – no set up necessary. I end up using it all the time because it’s so practical to use. I also get daily use from my salad spinner. You don’t realize how much you need it until you have it – especially if you’re eating tons of veggies. Lastly, I would add a good honing steel to the list and keep it in your daily kitchen prep routine. I love the Bob Kramer steel ceramic sharpening rod. It’s great for day to day knife maintenance, it’s harder than a regular honing steel and will keep your knives edge straight and sharp. You can find videos on youtube of Bob Kramer demonstrating the proper technique. Great suggestions, Lisa! Thank you! I don’t have a Vitamix or a food processor. 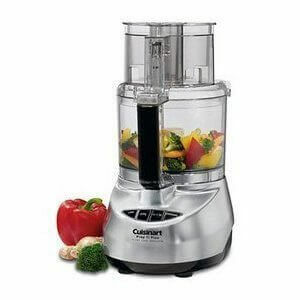 Can a vitamix can it do everything a food processor can or would I want both? I can only get one right now (with some Christmas money) so I’m trying to figure out which to get. Thanks! I have a FP and Vitamix. The real value of a Vitamix is for things that have a lot of liquid, like smoothies. With a FP, you can only put in as much liquid as about 1/2 the height of the blade attachment because it will overflow in the center of the bowl under the blade. I don’t think that made any sense at all, but I have no energy to think of a better way to say it. 🙂 Just put a lot of water in a FP and you will quickly see what I mean. For anything even somewhat solid (hummus, mayo, etc) I prefer a FP because the Vitamix blade is permanently attached, so it is very hard to get out the last bit of a recipe. I usually add a bit of water, blend it then drink it. Heather, I’ll save you the experiment and point out that you probably won’t be blogging about hummus-water, or mayo-water for that matter…neither is very appetizing. 🙂 But at least I’m not wasting food. Made perfect sense to me, Sunny! 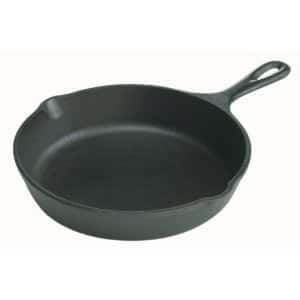 Maggie Sammis Grayson – I use a non-stick cast iron skillet, but an enameled version would be a great choice, too. Stainless steel works as well, but usually requires scrubbing afterwards. My enameled cast iron isn’t very non-stick…but maybe I don’t know how to use it properly. Definitely MUCH different than just regular cast iron. Good to know. Thanks, Sunny! I was planning on getting a hamilton beach crock pot, but they get back reviews on amazon for the rubber ring around the lid retaining smells and flavoring food. have you had that problem? I want lead free, but not smelly rubber. Psst!! Even if you don’t get your Sous Vide, don’t despair! While I have not made it myself, so I cannot attest to its properties or comparability, I found a link for a DIY Sous vide that is more versatile and only costs around $75.00!! I have an enamel dutch oven (3.5 qt) by Le Crueset, and I adore it. I would love a 5.5 qt; I would definitely register for one (or more!) of those, and use it for everything. GREAT article. But, hmmm…. I read the article about lead and cadmium in the crockpots, and there seems to be some debate in the comments about Hamilton Beach. But, most of the comments are old. Do you know any other source for updated info? Our crockpot broke this week and we need a new one, which sounds like it was a good thing anyway, since it was one of the lead-containing brands! I personally think that Hamilton Beach is reluctant to say that their slow cookers have NO lead for liability reasons (what if there was a bazillion PPM amount that they missed – HUGE lawsuit). The data out there is murky, but when I did my research I walked away with the impression that they were the most trustworthy company of those we have to choose from – that’s how I made my decision. Does that help? Thank you so much for the reply! It does help. Isn’t it sad how much research has to go into every single purchase? I’ve not commented before, but your blog is a great resource for my family as we decide how to make healthy purchases. The stoneware is made from an earthen material, therefore it naturally contains lead. The amount of lead in our stoneware adheres to the FDA guidelines. Very nice list. I have to start thinking about this pretty soon as I am planning/hoping to move this year and have a whole home in need of stocking. 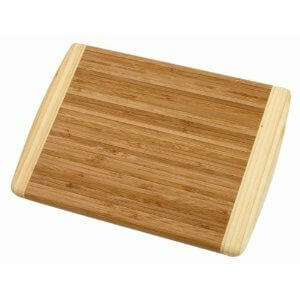 One funny thing: that cutting board you have pictured? I just got it myself. It was the gift I selected as my 10th anniversary one from my employer. 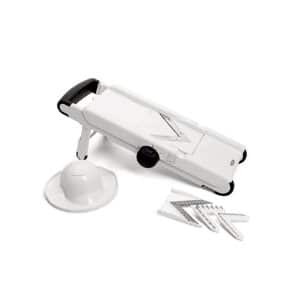 FYI, Ross (it’s a brick and mortar store) has kitchen accessories for really awesome discounted prices. I got my bamboo cutting board, pyrex, french press, and other things there for over 50% discount. It’s like overstock.com or something. i love it. Vitamix blender! I use it every day, and sometimes several time a day. It cost a pretty penny but after only 2 months I already think it’s worth it. Also, a juicer. We don’t use it as often but it’s great when I’m craving orange juice with a weekend breakfast of bacon, eggs and muffins and don’t want to drink pasteurized store-bought brands. Also, a good way to get your beets down is juice them with apples and carrots. As far as utensil gadgetry, I recently bought a microplane zester and LOVE IT! So about the old vision cookware….is it safe to use on an electric glass cooktop? I am down to 1 non stick kitchen aid skillet from our wedding set 6 years ago for our eggs. My cast iron is not seasoned enough for eggs…just makes a mess…and eggs don’t really work in the multiclad cuisine art stainless steel set we purchased to replace our old set. So wondering if the glass/ceramic on glass is a no no? Super post Heather! I have some of these items: the dehydrator, a food processor, bamboo cutting boards, Pyrex storage containers, a really old blender (which we use as we would a Vitamix…and yeah, it doesn’t do nearly as much as the Vitamix, but until it wears out, that’s what we’re going to use! ), a cast iron frying pan, an All-Clad stainless cookware set, and a good set of knives (I forget what brand they are, but comparable to the ones you mentioned). 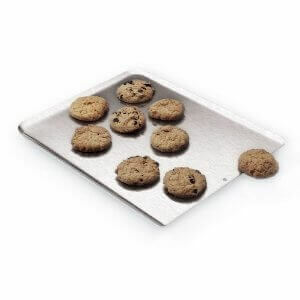 Things on my wish list would be stainless steel cookie sheets and a Vitamix. We have some made by Farberwear which I’m pretty sure are aluminum, and I’ve pretty much replaced all aluminum items years ago with stainless, glass, cast iron, or other safe cookware. My husband thinks it’s a waste of $$ at this point to get new ones, and that we should use them until they wear out (I vehemently disagree! ), but to compensate we always use unbleached parchment paper over them when we cook with them (which isn’t every day). Do you do waffles? What waffle maker would you buy? I would have to ditto the kitchen aid mixer. And get the big one. Or, if you have a really large family, get a Hobart. But fast forward to today. I’m a real foodie now and I realize that I not only need all those appliances, I want them! Of course, my husband is totally confused! Maybe he’ll combine the best of both worlds and hide some diamond earrings in the toaster oven I need!! Hey! A girl can dream, can’t she??! I would add a Vitamix to that wonderful list. I put of getting one for years, thinking a blender would work just as well. Boy, was I wrong. I have used my Vitamix every day since I got it. We use it for smoothies, raw vegetable soups, to make gluten-free flour (with the dry container attachment), and to grind up pretty much anything!! 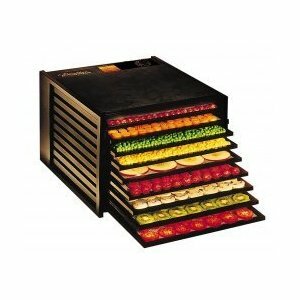 Do you have some food dehydrators that can be possibly placed on the kitchen and without consuming too much space? I am fond of collecting dry foods specially on winter which can be very difficult to go out because it’s too humid outside. Are much more sanitary and a dream for your knives. We saved up for one and I don’t know what other people do without one!! I am jumping up and down with you because there is a crockpot that is lead-free! Wish I had known this when I bought my new giant crockpot last week, but now I will be saving for the Hamilton Beach one. No, I didn’t, Mae! How are they different from hardwoods in tha that respect? Hi. I just got an enamel cast iron and eggs stick. Is there a secret? I was reading where you said you didn’t have this problem 🙂 thanks! Yes, these elements ARE naturally found in the earth, BUT in the USA it would be more difficult for a pottery to find lead as an ingredient sold by an AMERICAN ceramic supplier than it is for a New Yorker to access raw milk! Cadmium IS used in bright red glazes, but it is always listed as NOT FOOD SAFE in the USA. 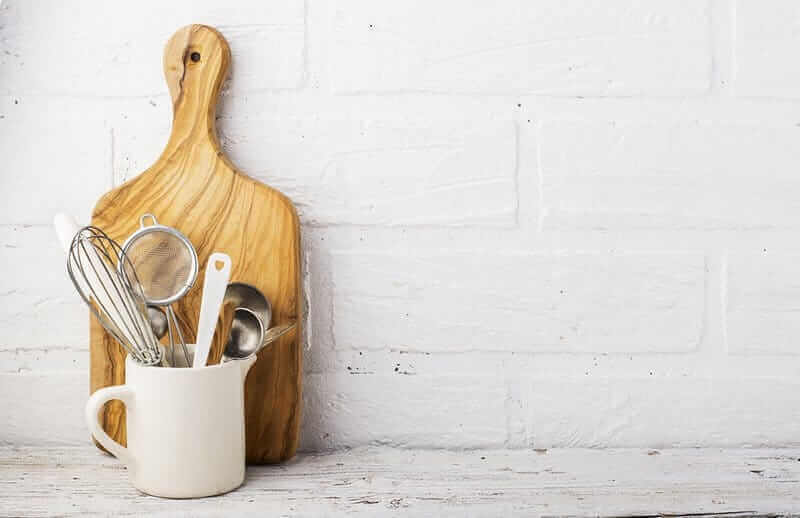 Technically, it can be made food-safe by preventing leaching, but you’d be hard-pressed to find an American pottery risk it, and they would have to do lots of testing to prove it does not leach. Simply put, the PROBLEM IS CHINA! Only the Chinese use toxic chemicals in their paints and ceramics. But, try finding an American-made coffee mug! Well, they are very expensive, but they do exist. I think plates are not nearly as dangerous as cooking vessels and mugs that hold hot liquids. 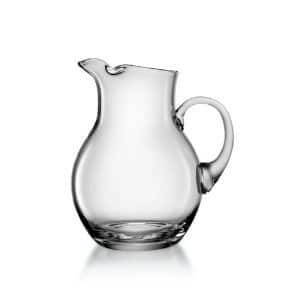 Avoid putting acidic liquids (vinegar, lemon) in ceramic – use glass instead. So, the answer is simple: Buy only American and European-made cooking vessels! I use antique cast iron and vintage stainless cookware. LeCreuset (France) enameled cast iron is safe. Lodge cast iron is the ONLY new American-made (safe), but their enamled cast iron is NOT SAFE – it is made in China! Same with copper – if it’s cheap, it’s Chinese and loaded with toxic additives. European and American copper is safe. Note that is it the source of the copper itself that matters – not where it is assembled (but Chinese manufacturers do not use Euro / American metals). Here is a helpful link about ceramic safety, with links for TESTING ceramic pieces for toxicity. 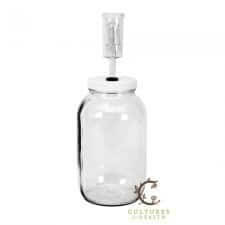 It is for ceramists, but the testing labs might accept commercial pieces as well. 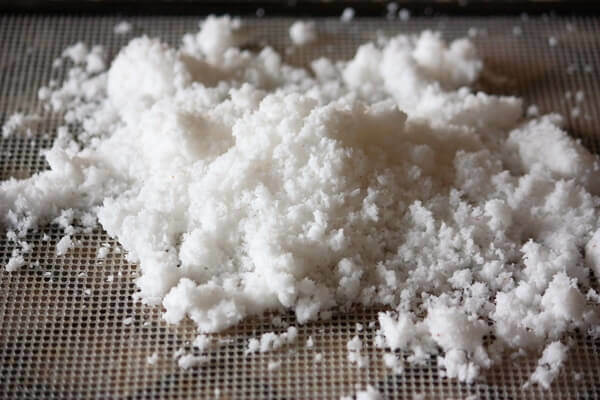 BTW: If Cobalt and Chromium are ever declared toxic, then just about ALL ceramics will be considered “toxic.” Cobalt and Chromium don’t scare me at all; in fact I have been thinking of adding it to my garden soil so my veggies have more minerals (very, very dilute, of course). This is actually sold to farmers who raise cattle because the pastures today are lacking and ruminants become ill from deficiencies. BTW: The colors to be wary of in ceramics are bright red and celadon or minty greens (both very difficult to produce without toxic ingredients (Cadmium, Barium). My problem with crock pots and other vessels is that they are black – black glazes are easy to achieve very safely. Black and rusty-red are created with iron oxides – very safe. So, if they are toxic, it is lead that is the problem, and that is a Chinese problem. Oh, and that link says to test for thermal shock – DO NOT DO IT!!! Seriously, if you go from freezer to a hot over or boiling water, the chances of ANY ceramic or glass vessel not exploding is almost nil! Even if it doesn’t explode, after such an experiment, the vessel will be a disaster waiting to happen! New Pyrex and Anchor Hocking WILL EXPLODE! Vintage Pyrex may not. But, anything that says freezer and oven safe must be thawed to room temperature FIRST, before you put it in a hot oven. And there is stove-safe ceramic, but it is not ordinary ceramic – do not put any ordinary ceramic pot on a stove burner unless it is specifically made for that purpose – it will crack or explode! Most ceramic is just oven-safe. Your recommendations for a well-stocked kitchen are great. I wish I were a young bride again, with the opportunity to do it “right” from the beginning. One recommendation, however, I find bothersome: the Pyrex baking dishes. I have experienced, and after research have discovered that this is NOT a unique problem, that Pyrex can explode in your oven, or after it has been removed from the oven. There was even a report of a woman who was blinded and had severe facial wounds when the baking dish shattered as she was taking it out of the oven. I have had two baking dishes shatter inside my oven…ruined food and horrible clean up, but thankfully my dear family was not hurt. A friend had a dish shatter in her sink as she was washing it – cut a tendon in her pinky finger – needed surgery to repair it! I would advise caution in using Pyrex. I have found that good old-fashioned graniteware (also called speckleware or grannyware) is not reactive with food and works very well for cooking and baking needs, and it is not too expensive! (Good when one has a large family as I do.) All the best to you and yours. I have heard that issue with Pyrex also. I read a post once (Cheeseslave, maybe??) that Pyrex is no longer made as it used to be made….that is, in the United States. 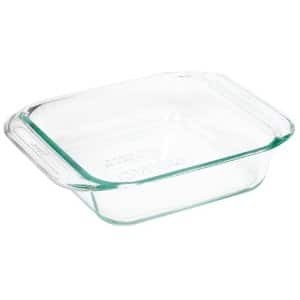 It stated that Pyrex made in (or for) Europe was made differently and it was as durable as ours used to be. I don’t have any Pyrex since I had a dish break on me years ago. That was before my transformation to a traditional kitchen. I have nice vitrified pottery that I bought a piece at a time that stands up well to its near constant use! Thank you for sharing your experience! I’ve not had this happen to me, but I will send myself a note to research this further soon! I really enjoy seeing what other people think about stocking a real food kitchen! I would caution you on your advice regarding peanuts, though. As you probably know, peanuts are not really a nut; they are a legume. And you are aware that aflatoxins are a danger with them. Aflatoxins are a fungus and I would not consume a product that has a fungal issue and has been soaked (conditions very favorable for fungal growth). And the dehydration process is not going to kill any aflatoxin just as it wouldn’t destroy any enzymes. Roasting the peanuts is a better way of reducing the aflatoxin present by about 50%. By consuming an organic, prepared product, you are at least aware of the aflatoxins present since they perform testing on the product at various stages. I am the first to wave the red flag at the food industry and to encourage people to do their own at home ~ my kitchen has been a traditional kitchen for almost a decade ~ but I feel that this is one of those cases where the traditional method is not better…..I wonder what the cultures who traditionally consumed peanuts did with them befor consuming them. If you are getting peanuts from a reputable source and roasting them, then that may be better. I am not sure. But I would strongly caution you on soaking and dehydrating them to make peanut butter. If you have found different information, please pass along to me. I appreciate any information to help me make better decisions! Oh, and I want that peaceful, neat kitchen in the photo! Hi Nina! I am very careful about how I source my peanuts for this reason, but some of your comments do make me wonder. What are your thoughts on the effects of acrylamide due to roasting on the overall quality of peanut butter? If you don’t mind me saying, a year late at that, acrylamide is higher in potato products than most any other food. If you’re seriously worried about it, then you might want to remove the fryer from your list as you wouldn’t be needing that anymore. However people have been cooking for several thousand years and no conclusion has been made to the effect of acrylamide. It almost seems as though “no news is good news” because it means that nothing is *obviously* wrong with it. Although, I’m not saying that it does not have deleterious effects, but peanut butter seems to be the least of your worries in my opinion. Love this! I sent it to my youngest who is in the process of registering for wedding gifts! I was wanting to find a stainless steel sheet pan, but wondering if you had any thoughts on stoneware as an alternative for baking. I was specifically looking at the Pampered Chef stoneware. What about a grain grinder? Mine is invaluable to me! When I use grains they need to be fresh ground! I have a stone grinder my friend gave me but my only problem with it is that it’s crank operated. I would like to get a burr grinder one day. I’ve heard Whisper Mill is a good one! For those looking for a non stick pan for eggs, I have the secret. I use my Calphalon 8″ stainless steel skillet with regular ole butter. The trick is I never cook anything else in that pan. Ever. I wash it in hot soapy water and I never bust my over easy eggs. My grandmother used cast iron but the same principal worked. I heat my pan over very low heat, drop in a pat of butter, let my egg cook a little longer on the first side, gently loosen the edges and flip. Love this post, I was looking for something like this after many years of renting it looks like Ill finally get to stock my own kitchen. But Im still confused about fermenting jars. Could anybody clarify some on that? The airlocks seem to require someone to make a whole on top of the lid. The large crock is nothing but complaints and the pickl-it jars are great but who can own more than a couple for a couple specific ferments. And you dont even mention fido jars. Any reason for that? Do you like them? Im just looking to not regret my purchases so I want to make the right decisions. Thanks to anybody for any help in advance. I am in the process of changing over my kitchen to a enviro-friendly, non-toxic dream kitchen so thank you for all your suggestions! What are your thoughts on ceramic baking sheets? As well can you tell me what kind of cooking utensils you suggest? I’m looking at bamboo but I have silicone currently and noticed you don’t recommend this. Thanks so much! yes, Heather, this IS fun! Proctor Silex makes lead and cadmium free crock pots. I use Fiestaware bakeware. It’s made in the US and is lead/cadmium free. The pizza pan makes a great baking sheet, and so does my Lodge cast iron pizza pan. I also love my cast iron muffin pans! Heather, just wanted to say that I have that ice cream maker and it is SUBLIME! I love, love, love it. 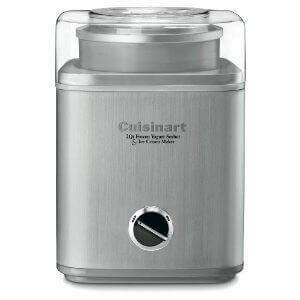 Use it to make everything from ice cream, to gelato, to sorbet. It’s an amazing machine if you don’t own it yet. I was hoping you could point me to more info on stainless steel with aluminium core vs stainless steel pan. Is it ok if the aluminum is in the core? The al clad link on amazon makes it sound like the aluminum is on the outside also. My DH just bought me a set of al clad so just trying to see if it is the best thing or if we should go more for the enamel pots. Thank you. Personally, I think All-Clad with aluminum core is fine as long as it has a thick, durable layer of stainless steel on top. What cookware would you recommend to a nerve racking soon college student that doesn’t want toxins in her apartment? I usually make homemade pancakes, turkey bacon, and lots of noodle meals especially spaghetti. I thought about getting cast iron for making pancakes and bacon, but I heard it wouldn’t be good for spaghetti because of the acidity in the tomatoes. I looked into ceramcor (they’re just so expensive!). I looked into stainless steel, I’m just worried about the nickel content in them (I’m highly allergic to nickel). Any help you could give me I’d greatly appreciate it! My goal is to have my first apartment be as non-toxic as possible to help my constant allergies, asthma, migraines, fibromyalgia, and other chronic health problems. What do you use for kitchen untinsels?